The discussion will examine the current state of artificial intelligence integration into production and distribution channels of the film industry. What’s being done in the sector to take advantage of the potential of AI for film work? Registration is open for this discussion from 11:30 a.m. to 1 p.m. and will be at the Berliner Freiheit building on Potsdamer Platz. Each speaker will present on developments related to AI and filmmaking, followed by small roundtable conversations. The event is part of EFM Horizon, the European Film Market’s platform for innovation. In a prepared statement, Volland is quoted, saying, “Ongoing dialogue with digital pioneers from the cultural industries, economics and politics is very important to us—it’s the only way for us to gain insight into the demands of the respective markets and to discover new possibilities. Other satellite events are being planned in the months leading up to The ARTS+, which is the business festival of the Frankfurter Buchmesse (10-14 October 2018) for the future of the cultural and creative industries. The series’ discussions, talks, and workshops will be held in various locations and in cooperation with various partners. The next instance is “The ARTS+ at Tempo di Libri” in Milan on March 12, with a focus on digital storytelling. Speakers at that one will come from the Fondazione Prada and Innovation Network for Cultural Innovation. And at the Buchmesse in October, the program will feature daily unique themes with related interactive formats. The London Book Fair’s Quantum conference on April 9, under the direction of Orna O’Brien, will feature Zenith Media’s Tom Goodwin, Hachette’s David Shelley, and actress Adjoa Andoh. 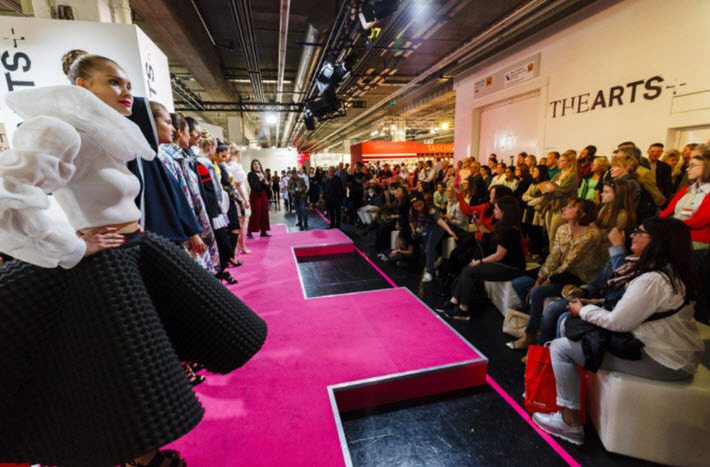 As previously reported by Publishing Perspectives, the conference is set again at London’s Olympia complex and again is staged in partnership with Nielsen, and audiobooks are to have special emphasis in the programming. Consultant and past managing director of Faber & Faber Matt Haslum is the program chair this year. The conference has an option this year for afternoon-only attendance. A Quantum ticket includes LBF entry for the full week. The choices of Goodwin, Shelley, and Andoh as lead speakers is interesting. 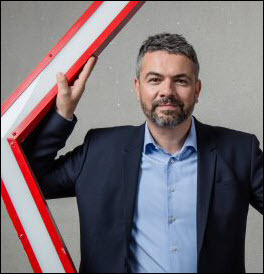 Goodwin is described as “an industry provocateur” as a marketing specialist who’s executive vice president and head of innovation with Zenith Media USA. 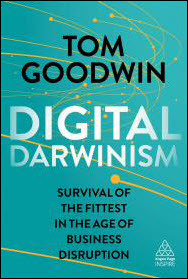 His book Digital Darwinism is to be published by Kogan Page on April 3, days before his Quantum appearance. Andoh will speak in a staged conversation with Lorelei King, audiobook narrator and founder of Creative Content Ltd. Their topic is expected to be the value of narration to audio and how to work with intenrnaional texts. In addition to Shelley—the former chief of Little, Brown Book Group and Orion, who stepped into the Hachette UK CEO role following Tim Hely Hutchinson’s retirement—several speakers also announced include Ebury Publishing’s Rebecca Smart; the #US-based Audio Publishers Association head Michele Cobb; and Gleam Futures’ Abigail Bergstrom. The latter part of the day is to concentrate entirely on audiobooks, as it happens, and O’Brien, in speaking to the heavy emphasis of the day, is quoted, saying, “These keynotes will provide Quantum 2018 delegates with starting points for a fascinating discussion about future trends in marketing, how AI will impact business, emerging trends in publishing and the growth of audiobooks: this conference will be a hotbed of ideas. Programming, as it’s developed, is being listed here. More of Publishing Perspective’s coverage of the Quantum conference is here.